Phoenix Airways holds the place of being the first airline to operate a trans-Alpine air service. 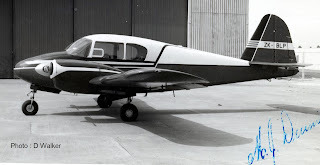 In March 1961 Merv Dunn, trading as Phoenix Airways, was granted a licence to operate an air charter and air taxi service from Greymouth to all licensed aerodromes in New Zealand excluding the area south of Hokitika and bounded to the east by the Southern Alps using a leased Piper Pa23-160 Apache, ZK-BLP (c/n 23-1089). Piper Pa23-160 Apache ZK-BLP at Greymouth in 1961 prior to departing to Christchurch on a charter. 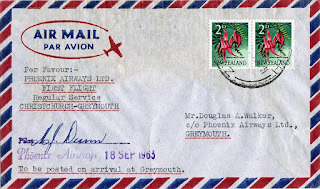 On the 4th of September 1963 the Air Services Licensing Authority granted an application by Phoenix Airways Ltd to extend its charter operations by allowing a thrice weekly Greymouth-Christchurch trans-alpine service. 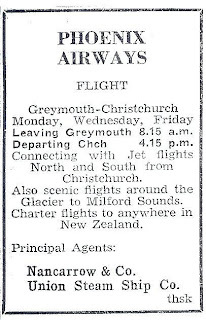 Company Manager and chief pilot, Merv Dunn, announced that day in the Greymouth Evening Star that he intended the new service to start on the 9th of September with the Apache leaving Greymouth at 8.15 a.m. to arrive in Christchurch by 9.00 a.m. and returning from Christchurch at 4.15 p.m. to reach Greymouth at 5.00 p.m. The service had to operate under visual flight rules and the inaugural flight, on the 9th of September was thwarted by unfavourable weather conditions on the Canterbury side of the Alps. The Apache left Greymouth with a full load but was informed by radio that Christchurch was closed to all visual flight traffic, thus, the flight returned to Greymouth. The next attempt, two days later, on the Wednesday also had to turn back due to weather conditions over the Southern Alps. 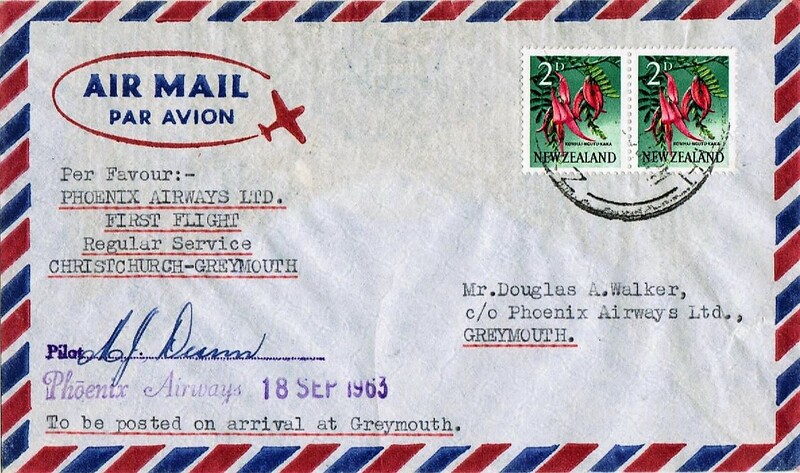 The first successful flights took place on Wednesday the 18th of September 1963 with a full load being carried in both directions. Phoenix Airways' Piper Apache ZK-BLP at Christchurch. 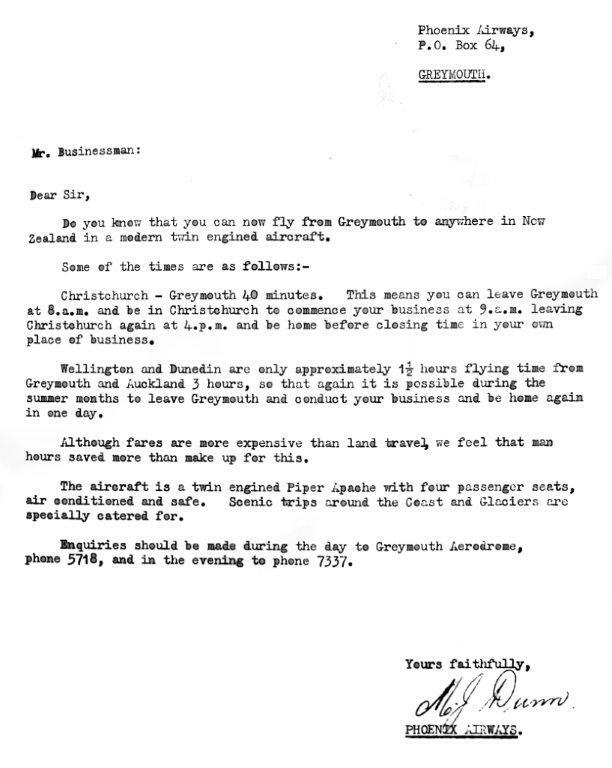 Ten days later the Greymouth Evening Star reported the service was “now well established” and the company had in mind, in its two year plan, “that a larger plane will be necessary to replace the present five-seater being used on the thrice-weekly Greymouth-Christchurch and return air service… Mr Dunn said the purchase of a larger machine would depend on the patronage the service receives.” The same article also carried a reporter’s account of a flight to Christchurch on the new service, though the reporter's when mentioning Reefton, shows that his/her geography was somewhat lacking! This week an Evening Star reporter took the 45-minute journey to Christchurch with Mr Dunn at the controls. In the Apache (similar to the one operated between Nelson and Greymouth) the trip was completed in fine conditions at 8000ft. The route taken was via Stillwater, Rotomanu and over the Alps just north of Otira and Arthur’s Pass, cutting across the southern end of the Lees Valley on the Canterbury side. The aircraft left Greymouth at 8.15 am and touched down in Christchurch at 9.00 am. On the return trip, the Apache took off at 4.15 pm and landed at Greymouth at 4.55 pm. A light haze on Thursday prevented passengers from seeing Reefton (blanketed under a covering of fog 8000ft below) as the machine neared Otira. Lake Hochstetter, Lake Brunner and a myriad of smaller lakes and ponds were clearly visible. A dazzling mantle of snow covered the Alps themselves. On the return trip the snow was barely visible through a blanket of fluffy cumulus cloud scudding 1000 ft below (the external temperature at this stage was zero, but the cabin heater kept passengers comfortably warm). 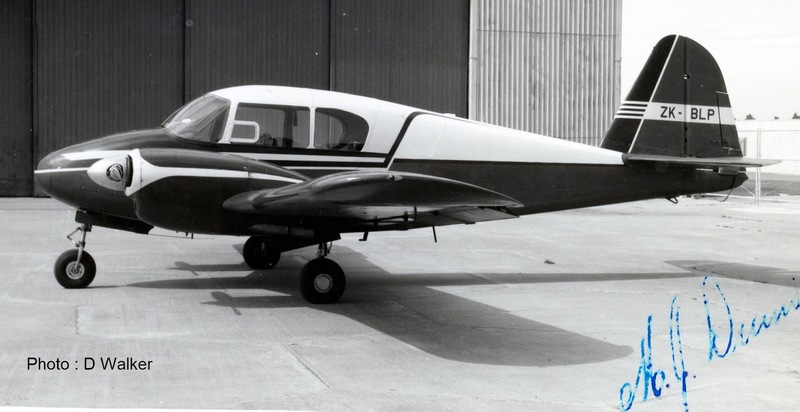 The prospect of a larger aircraft never came to fruition as in early December 1963 both the Piper Apache went to Golden Coast Airlines with Golden Coast leasing Cessna 180 ZK-BVQ (c/n 31342) to Phoenix Airways. Cessna 180 ZK-BVQ at Wellington sometime before April 1964. Presumably it operated for Phoenix Airways with Golden Coast Airways titles. There is some mystery as to when the service ended. The Cessna 180, ZK-BVQ, was registered to Mr A. 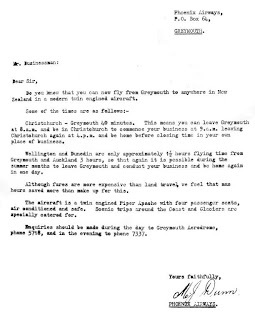 Brown of Palmerston North on the 10th of March 1964 and the aircraft was exported to Australia as VH-BVQ, its New Zealand registration being cancelled on the 31st of May 1964. Golden Coast Airlines had bought Phoenix Airways from Merv Dunn by mid-1964 and secured him as one of their pilots. On the 11th of September 1964 the company was authorised to operate Cessna 172 ZK-CAA as part of their fleet. 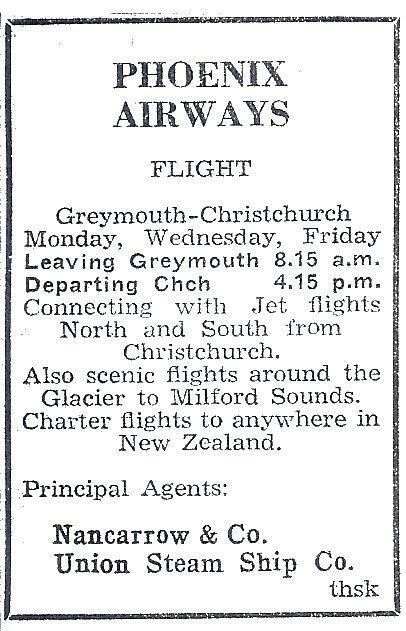 The air service continued was still being advertised in the Greymouth Evening Star as late as the 10th of October 1964. The Phoenix Airways story ended on the 31st of March 1966 when the Air Service Licensing Authority approved the transfer of Phoenix Airways licence, No. 273, to Golden Coast Airlines (1965) Ltd. 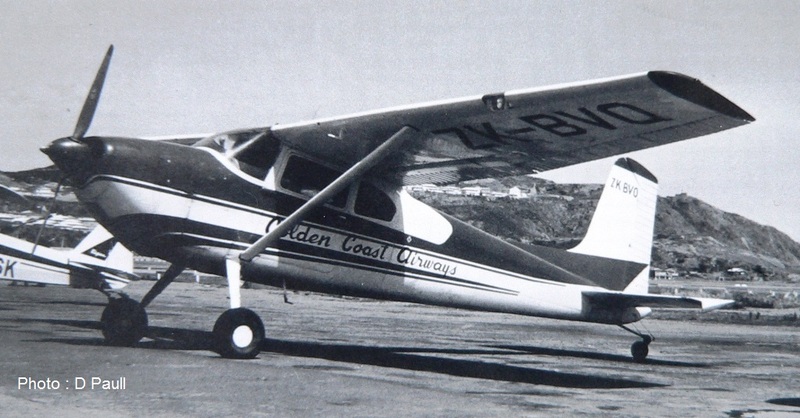 The licence was valid until 1968 but Golden Coast Airlines never operated under it. What was the involvement of Phoenix Airways with Fox Moth ZK-APT?